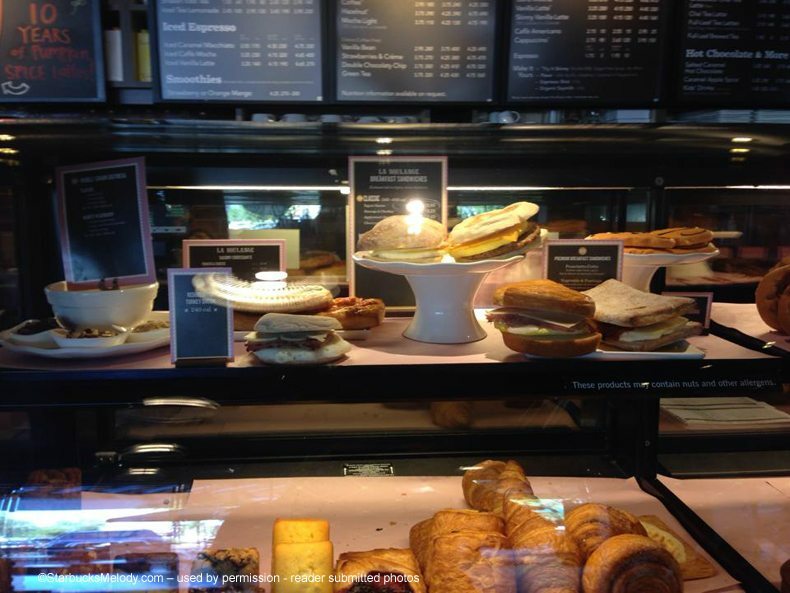 Starbucks is currently testing new breakfast sandwiches. Pascal Rigo, the founder of La Boulange and the lead food innovator at Starbucks, was recently quoted as saying, “[W]e could expect to see new breakfast sandwiches in our stores by April or May, 2014.” So while often I talk about Starbucks tests as having a remote possibility of making it to a national launch, it seems more likely than not that new breakfast sandwiches could come to Starbucks. And, so it came as no surprise to me to hear that currently new breakfast sandwiches are being tested in select markets in Arizona. 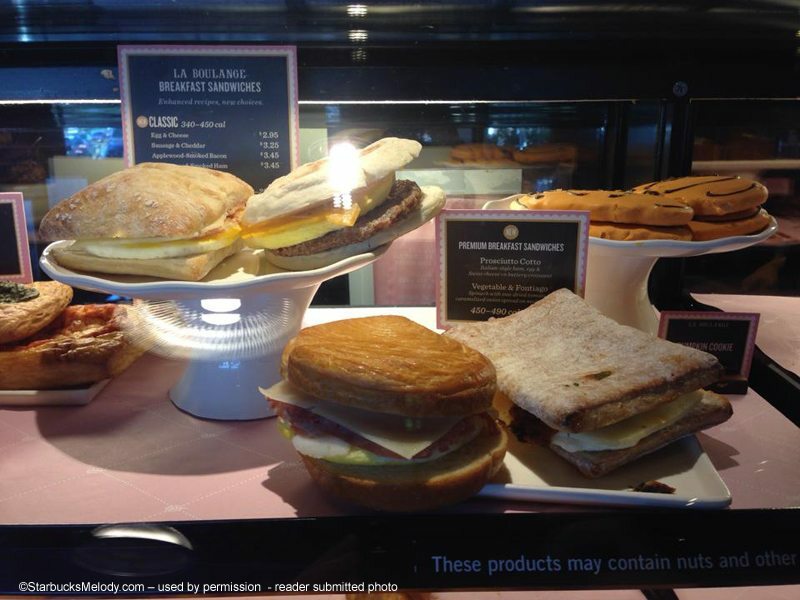 Are you ready for new breakfast sandwiches? What changes would you like to see? Brand new chocolates: Starbucks Via Ready Brew dark chocolate bars! Chips, Crisps and a big Starbucks/ La Boulange Potato Chips Conversation. La Boulange pastries arrive in Seattle soon: Melody attends a tasting event at the Starbucks headquarters! 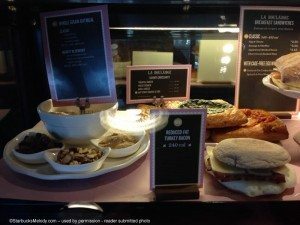 I agree that the new sandwiches are really high in calories and fat. I tried the ham and swiss on the croissant and it was actually greasy. And I would never choose that for a breakfast- under 400 calories is the key! 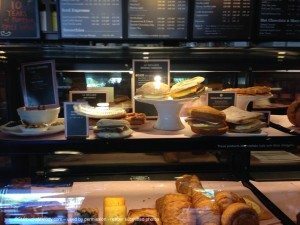 Soooo glad that the artisan ham and cheese was not discontinued, even though some starbucks employees seem to think it is. phew! The veggie sandwich is the most discusting thing I have ever eaten! Bring back the original please!!! Sheri my local store did get the wrong card and did not ask today if they got a new one.